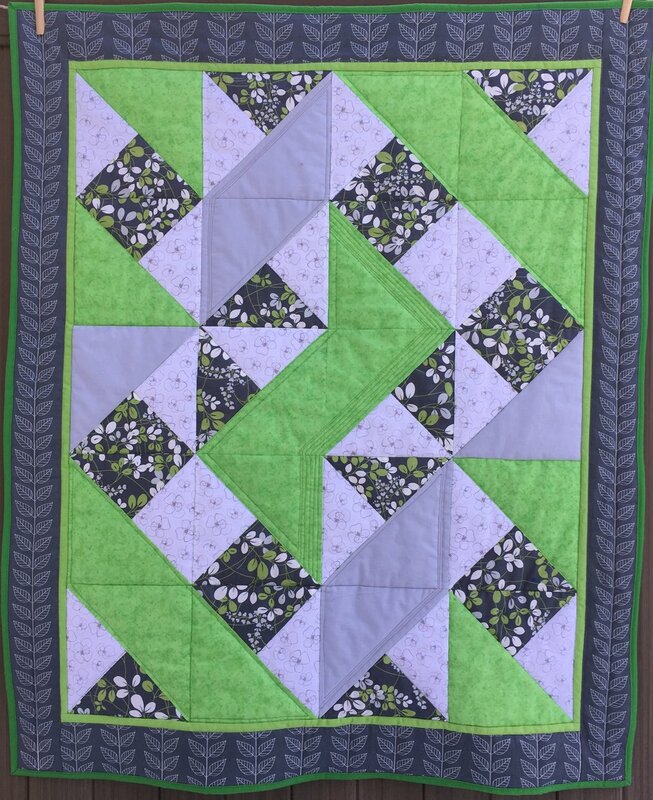 Another Quilt made with a Quarter Square Triangle Block Variation. Here is the other quilt I made using the quarter square triangle variation blocks I made at this years New Year's Day quilt party. It's the quilt the four of us designed together that I showed in the process in my post on January 11, 2018. We thought it looked like streamers! So appropriate for a New Year's Day Quilt! Here are some photos of the back, a flannel with woodland animals, and the quilting mostly a leaf motif and straight lines. There are also a few flowers in the quilting (not shown below) that look a bit like the flowers printed the background material seen on the right side below. 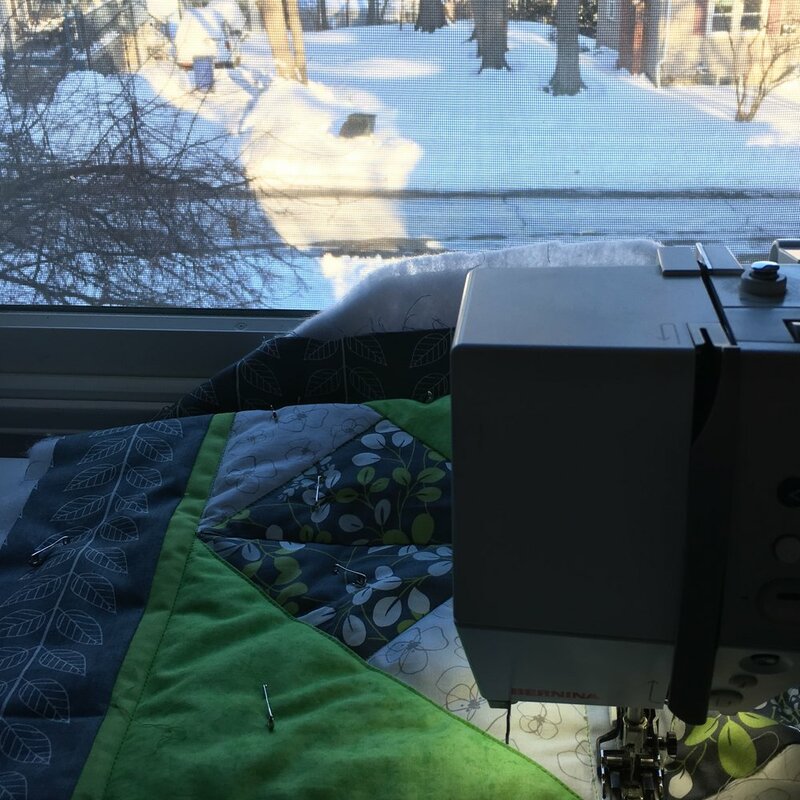 I really enjoy sitting in my upstairs workroom quilting on these January days. The white and blue grey light from the snow outside is so lovely. I wish the screen wasn't visible in this photo, but it was about 5 degrees F. the day I snapped the picture--opening the window wasn't an option!! I have 4 blocks left! A big pillow cover is in the works!! 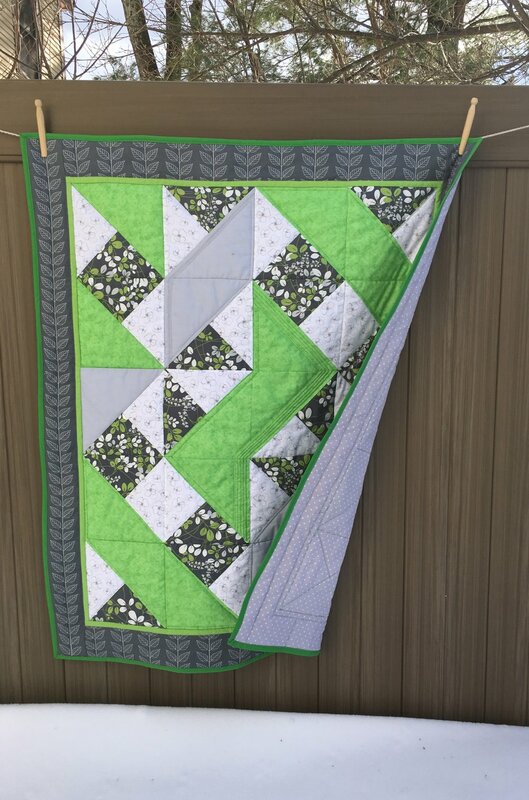 A stack of blocks sewed together in a few hours on New Years Day has kept me busy quilting all month!